Building Maintenance Contractor in New York | North Hills Office Services Inc.
"We have been using North Hills Office Services since 2009 and I must say there is no other company I would recommend more"
"North Hills Office Services is my go to company for all my building maintenance needs. They are very professional and responsive." "Great company. Been using them for many years. Always delivers great service in a professional and timely manner." North Hills Office Services, Inc. is a full service building maintenance contractor servicing the Metropolitan New York area for over 45 years. North Hills was founded with the intent of providing quality janitorial services at the lowest possible cost for its clients. North Hills Office Services has one goal, to form a partnership with its clients and become part of their team in the area of janitorial and facility maintenance. Presently, we are cleaning over 8,000,000 square feet of prestigious office space, and employ over 400 people. Our supervised staff of operations is equipped to provide each client with immediate response, 24 hours per day, 7 days a week, 365 days a year. When you call, we respond, and follow up. As a professional company, North Hills Office Services employs specialty consultants in the areas of insurance, labor, OSHA requirements and human resources. 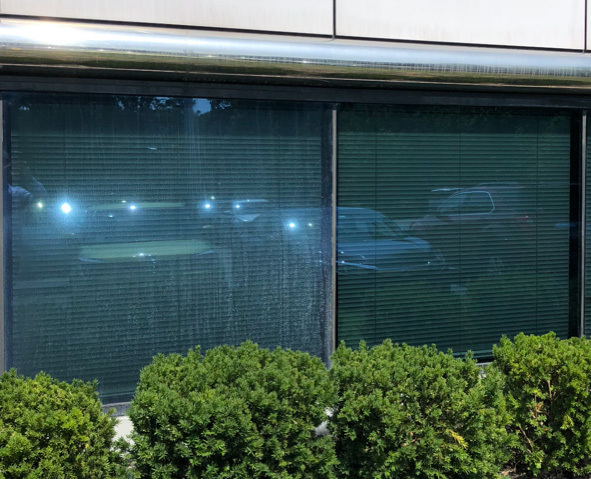 Aside from janitorial services, North Hills Office Services provides porter and matron services, window cleaning, carpet and floor maintenance, government services, handy-man services, restoration and remediation services, snow removal, and acoustical ceiling restoration. 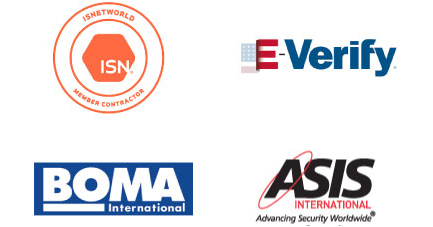 Need security at your building? We also provide security watch guard services through our subsidiary company Stratus Security, Inc. We offer a variety of additional services at very competitive pricing, check out these services below or click on the services tab at the top of your screen. There’s a reason we have clients for over 30 years. Isn’t it time you hired a professional company you can rely on? Call us today. Vents & Light Fixtures, etc. 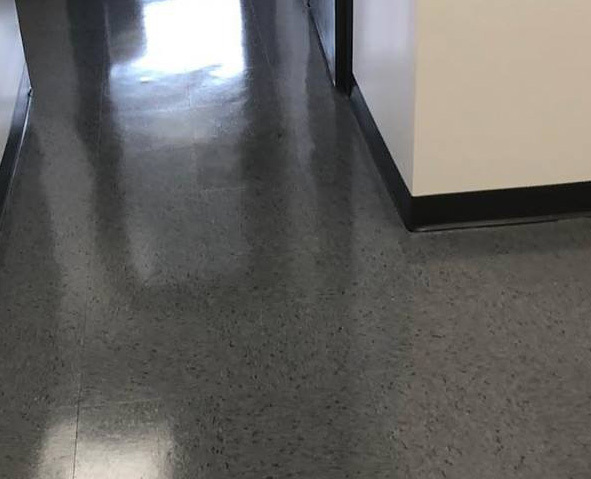 Apr 01, 2019 Background Our client installed a new vinyl composite tile (VCT) floor in their office. We recommended to have the floor finished to protect the floor from staining and make it easier to be cleaned. We have been using North Hills Office Services since 2009 and I must say there is no other company I would recommend more. We have a large portfolio in the Metropolitan New York area of Class A office buildings. We not only use North Hills for our janitorial services but our handyman services, construction cleanups and most recently acoustical ceiling restoration. This company does it all! North Hills Office Services is an asset to our team. Their professionalism and expertise help us meet the high expectations of our tenants and our buildings always look clean and tidy. 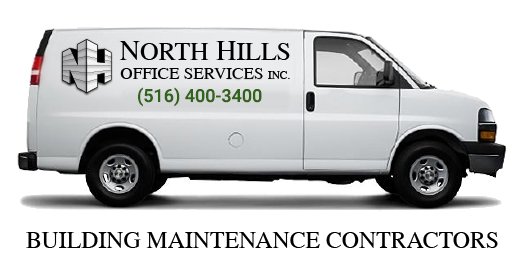 North Hills Office Services is my go-to company for all my building maintenance needs. They are very professional and responsive. We had a major flood from the 2nd-floor sprinkler line and flooded all the way down to the lower level at 10:00 pm on a Friday night. All it took was one phone call to North Hills and a team of people showed up 1 hour later with equipment to clean up the flood and remove debris. Thanks to their quick response we were able to open the building Monday morning. No wonder why they’re in business for over 45 years. I would recommend North Hills to anyone who owns a commercial office building. Great company. Been using them for many years. Always delivers great service in a professional and timely manner. I recommended North Hills Office Services for a construction cleaning job in Brooklyn and they did a fantastic job. Thanks! Why is restoring your acoustical ceiling better than replacing it.